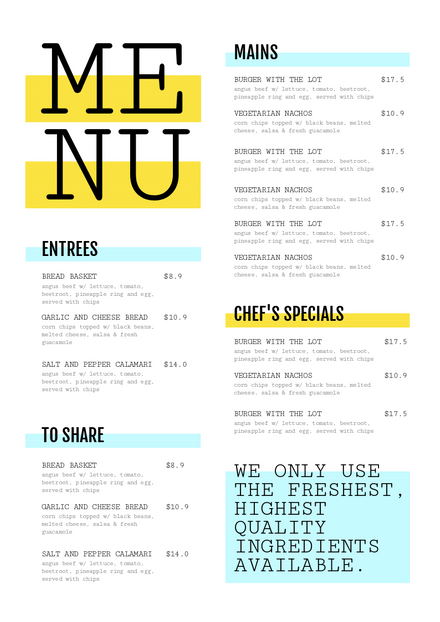 You know your restaurant's menu needs to inform, set the right expectations and tone that reflects your brand. 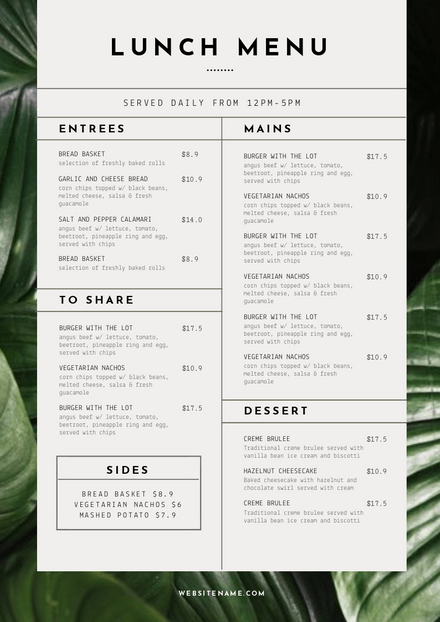 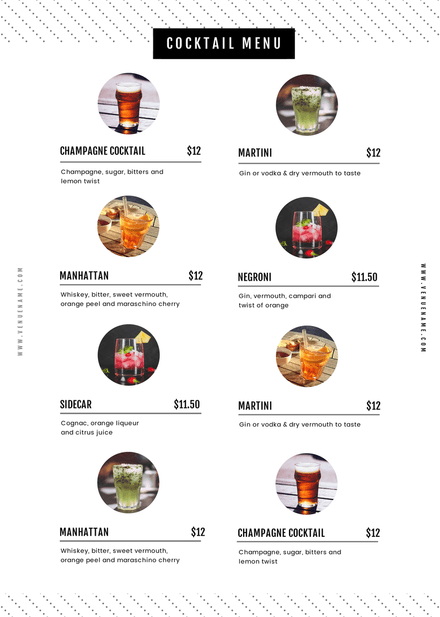 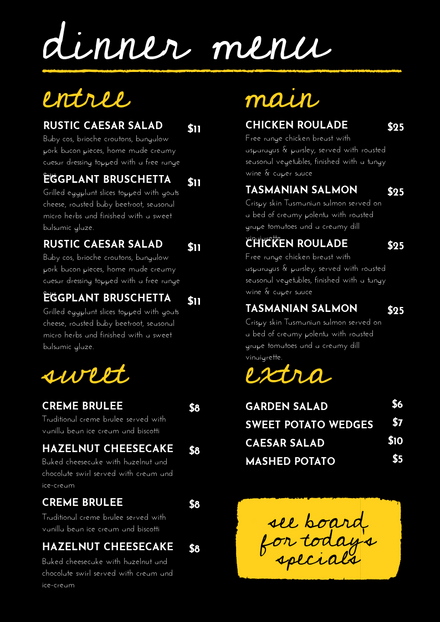 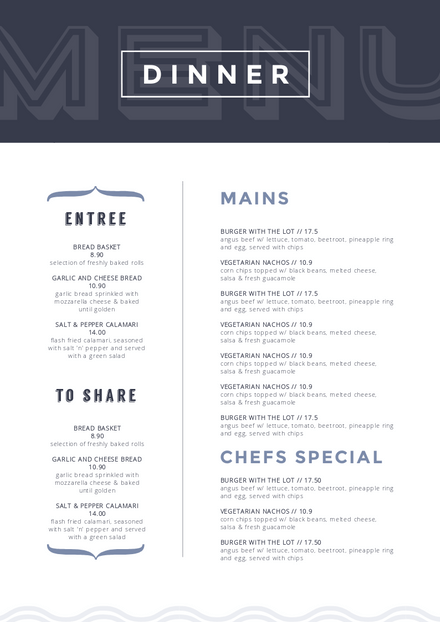 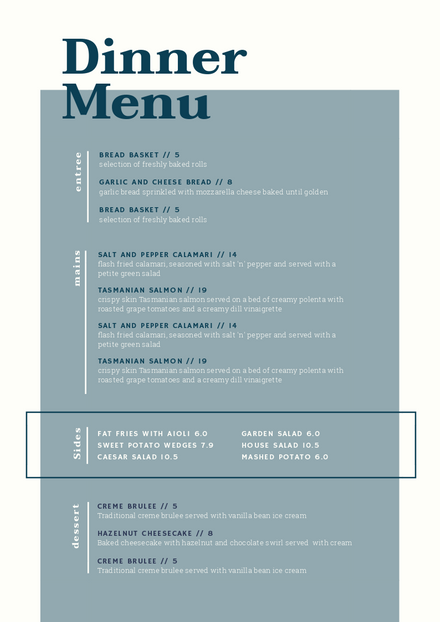 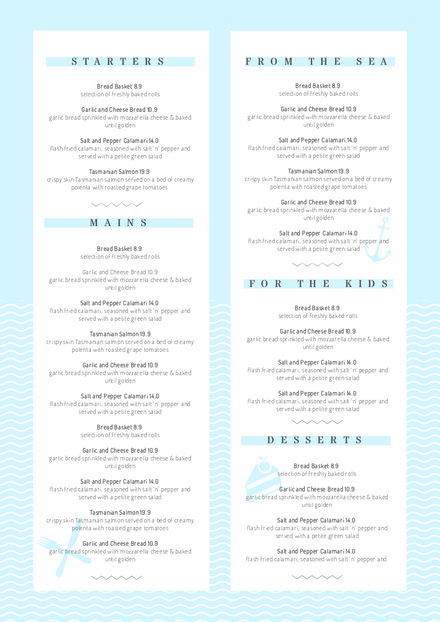 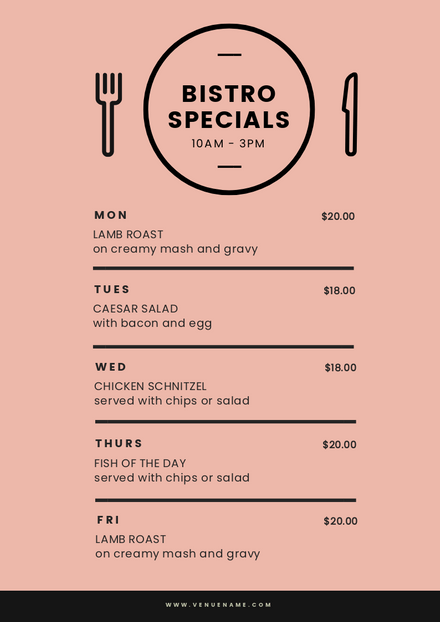 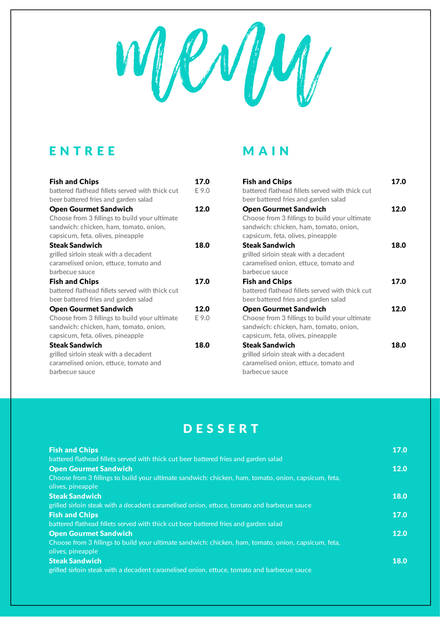 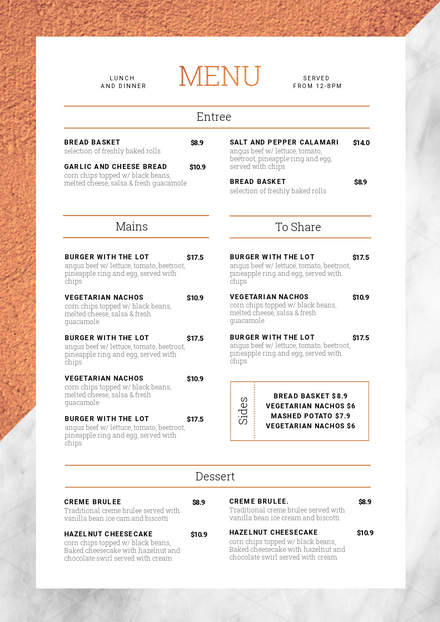 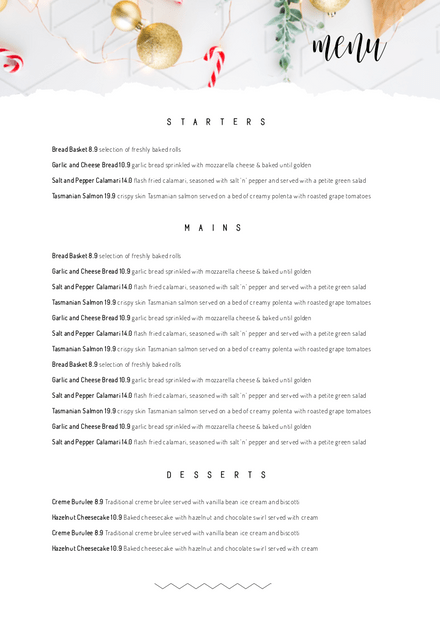 So take the hassle out of designing your food menu or wine list with our vast and growing range of custom restaurant and bar menu templates. 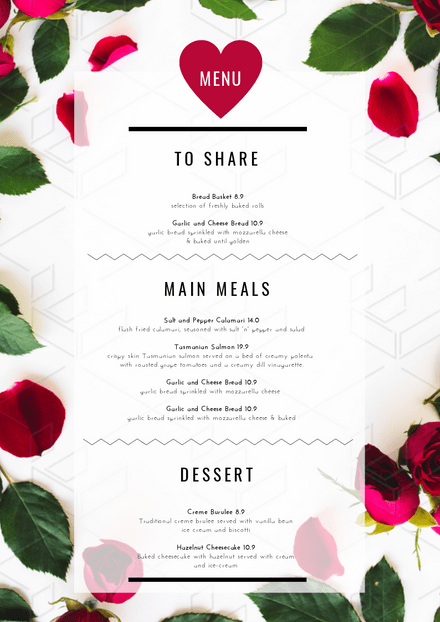 They are easy to customize and edit so you can get back to cooking up a storm.